I'm particularly excited about this next workshop because I absolutely love the holiday season! It is being hosted by Common Thread Studio in Pasadena as part of their Friday night Sip & Sew classes. 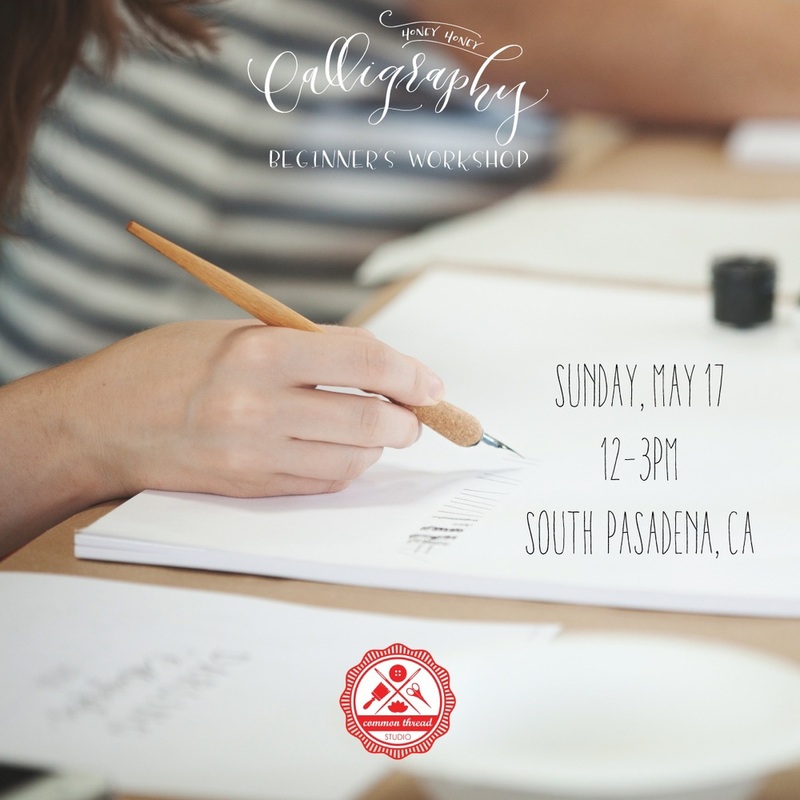 The focus of this workshop will be learning the beginner skills of modern calligraphy as well as how to make some pretty signage for your holiday parties and events. I'm teaching another workshop in November at the beautiful Scout Gallery in San Diego! All calligraphy supplies and refreshments are included.